One of the many test centres available in Birmingham, Garretts Green test centre is located around 8 miles from the city centre itself. Based on Granby Avenue, Garretts Green can be found next to Airparks Birmingham, KitchenCraft and Motordepot Birmingham. If you're heading here for your big day, take some time to get to know it a bit better. Read on for directions, pass rates, test routes and much more about Garretts Green. Based in Garretts Green, 8 miles from the centre of Birmingham, Garretts Green test centre lies close to Coventry Road and the A452—making it easy to get to for learners located in and around Garretts Green and the wider Birmingham area. Not had the chance to check the test centre out yet? It doesn’t matter how hopeless you are with geography—use these simple directions and you’ll get there just fine. 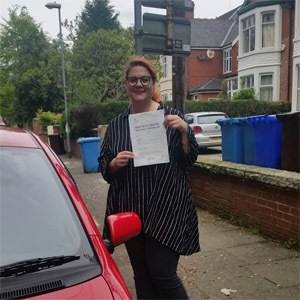 As with other driving test centres, the location of Garretts Green was chosen carefully to ensure examiners would be able to incorporate a broad enough range of road conditions in test routes. Garretts Green can be found near quiet, residential streets and busier urban roads like the A452. For more general information about the town of Garretts Green, follow the links below. Try as you might, you won't be able to find an up-to-date test route for Garretts Green—the DVSA no longer publishes routes. That being said, you can still figure out which roads are most likely to crop up by looking at videos of Garretts Green test routes on YouTube or by downloading our sample Garretts Green driving test routes. Additionally, your instructor will introduce you to the countless rural roads, residential streets and urban areas that are likely to feature on your test. By the time you head out for your practical, then, you should be more than familiar with the wider area around Garretts Green. The pass rates for this particular test centre aren’t exactly the most comforting—they stand lower than both the national and regional average. That being said, we always tell our students to work on their own ability and not to dwell on pass rates. Our ADIs are experienced and know what they’re doing, so pay close attention and you’ll get that shiny new licence! What If I Can’t Go To Garretts Green? Garretts Green isn’t the only test centre in the West Midlands. If you’d prefer to try your chances elsewhere, the nearest test centres include South Yardley and Shirley. You’ll get your results as soon as you’ve parked back up at Garretts Green test centre. Yep, it’s that fast! No matter the outcome, you'll get a feedback sheet which will detail any faults you made (if any) during your test. If you do pass, you'll get a test pass certificate and the chance to send off for your new licene. 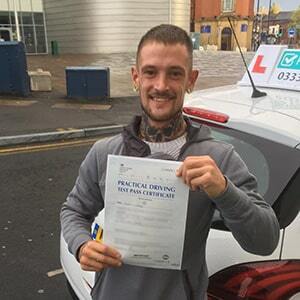 Here at PassMeFast, we’ve seen a wide variety of learner drivers pass and fail. Some simply need multiple tries to get it just right. It’s important not to let it get the better of you. 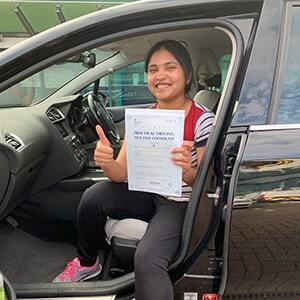 Get yourself amped up and ready to pass with one of our favourite success stories—our own pupil Cheryl who passed after 24 years! If you’re raring to go after reading that inspirational story, give us a ring on 0333 123 4949 or contact us online. We’ll get you booked ASAP with a fast-track practical test. At PassMeFast, we’ve got something to suit everyone. It doesn’t matter if you’re completely new to driving or you’re just looking for a quick refresh. Simply take a look at our course packages—found on our course prices page—and you’ll find something that suits you. All our courses come with a fast-track practical, so you don’t even need to worry about waiting too long. If you’d like to get the show on the road, you can get in touch on 0333 123 4949 or book online. Don’t believe all the hype? Read up on whether intensive driving courses work—you’ll be ready to book in in no time at all!